Founder of AXcademy is Finn Nielsen-Friis, who holds more than 40 years of hands-on experience with IT and especially ERP. Finn is a Microsoft Certified Master and Microsoft Certified Trainer. He holds a number of industry certifications and business degrees, including MCT, MCM, professional trainer, leadership and business economics. His experience covers a wide spectrum of IT and business areas. Finn has over 40 years of business experience in ERP solutions for service and manufacturing industries (including more than 20 years with Dynamics 365 and AX). His position in different companies has been as a consultant, project manager, team leader, department, manager and CEO. His worldwide engagements list implementations and designing ERP and training solutions for small size businesses to large enterprises. 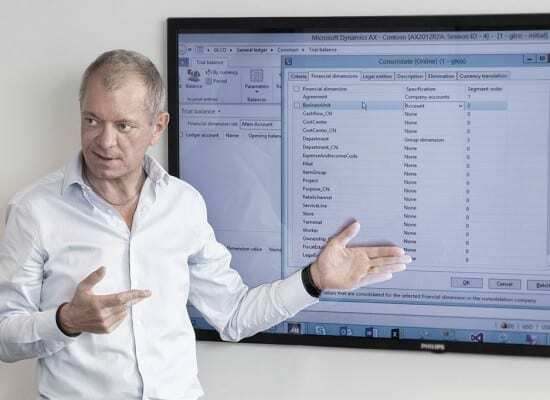 As a Microsoft-endorsed trainer, Finn has trained worldwide partners at The Microsoft Dynamics AX 2012 Enterprise Academy, at Microsoft CPLS and directly at numerous Microsoft partners and customers around the world. Over the years, several thousands of students have attended some of Finn’s Dynamics 365 and AX classes or workshops.